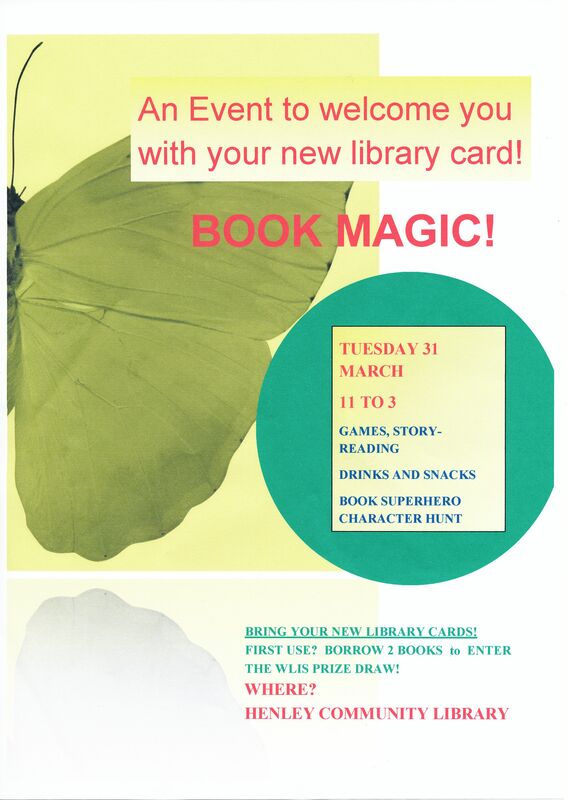 On Tuesday 31st March the Library is open for normal business but we are also holding a BOOK MAGIC WELCOME EVENT for children who have received their new library cards through their schools. There will be games sheets, a simple craft activity and a hunt for Book Superheros in the Library, a story to be read aloud, and a chance to enter a prize draw. Children who use their new cards for the first time to borrow 2 or more books get entered in a prize draw sponsored by Warwickshire Library and Information Service. Drinks and snacks will be on hand too. 11 a.m. to 3 p.m.